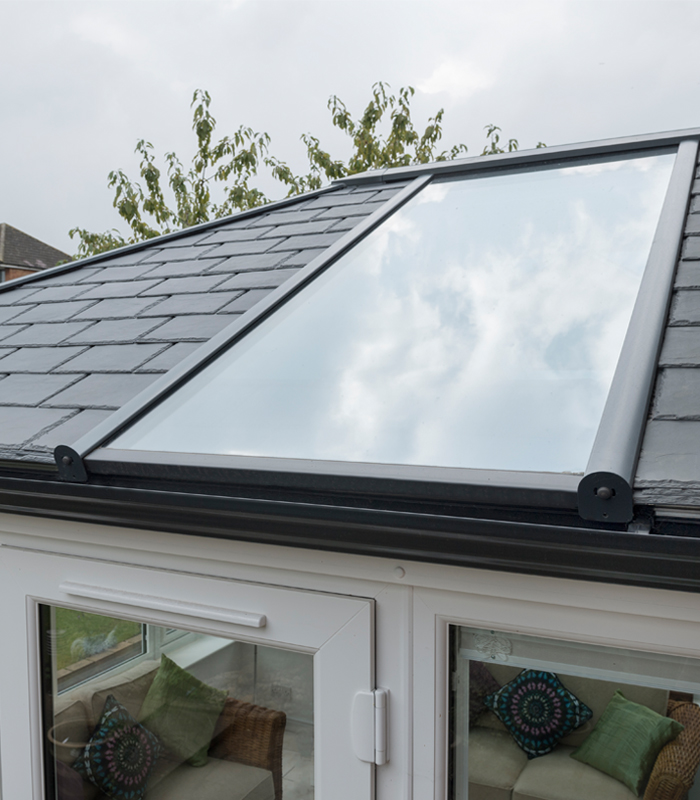 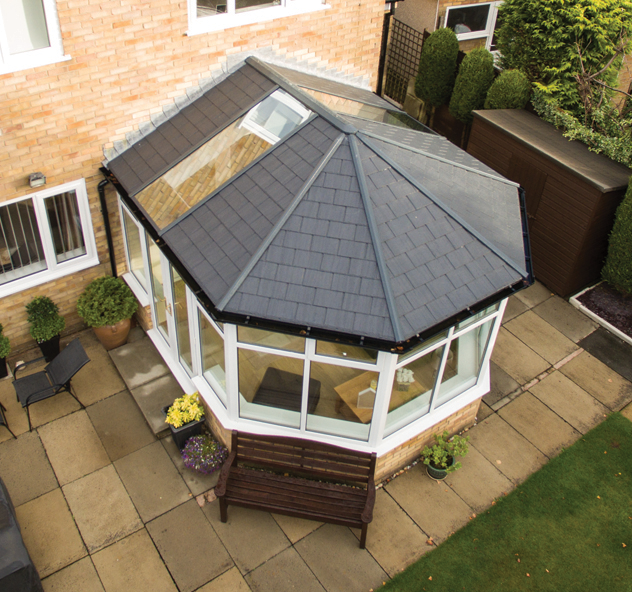 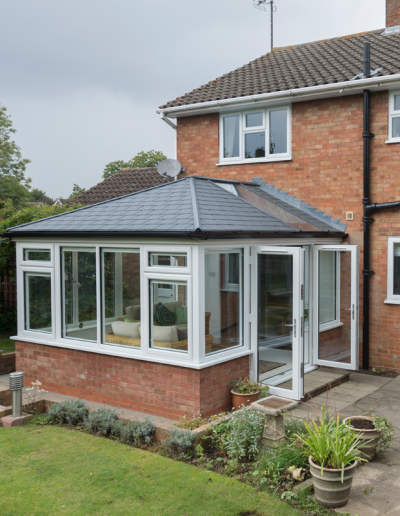 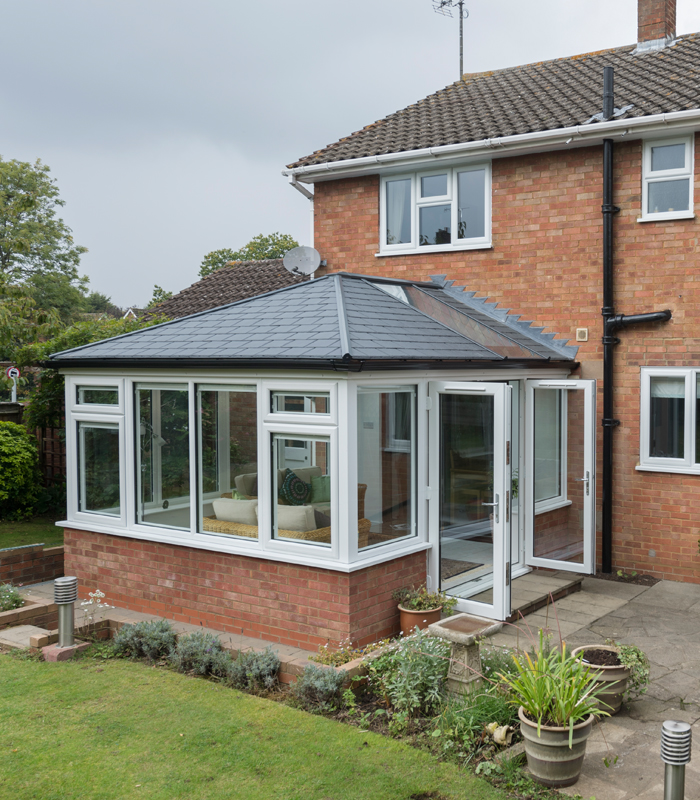 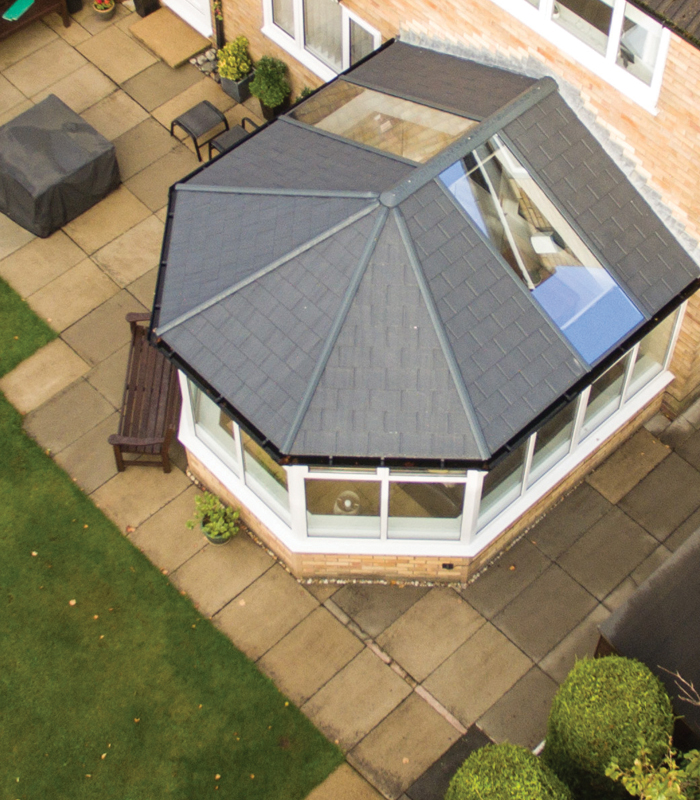 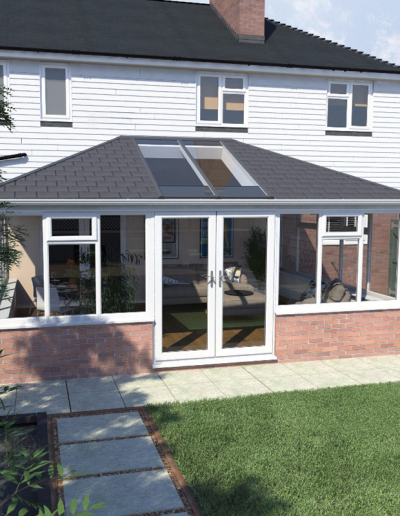 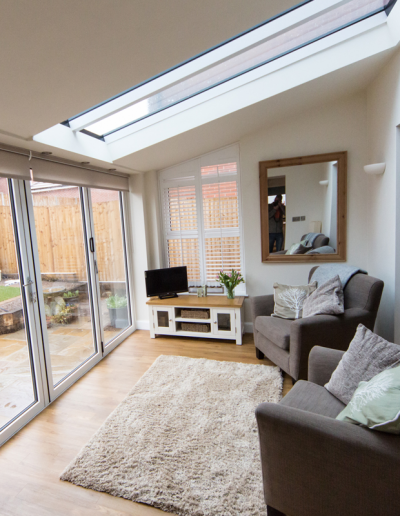 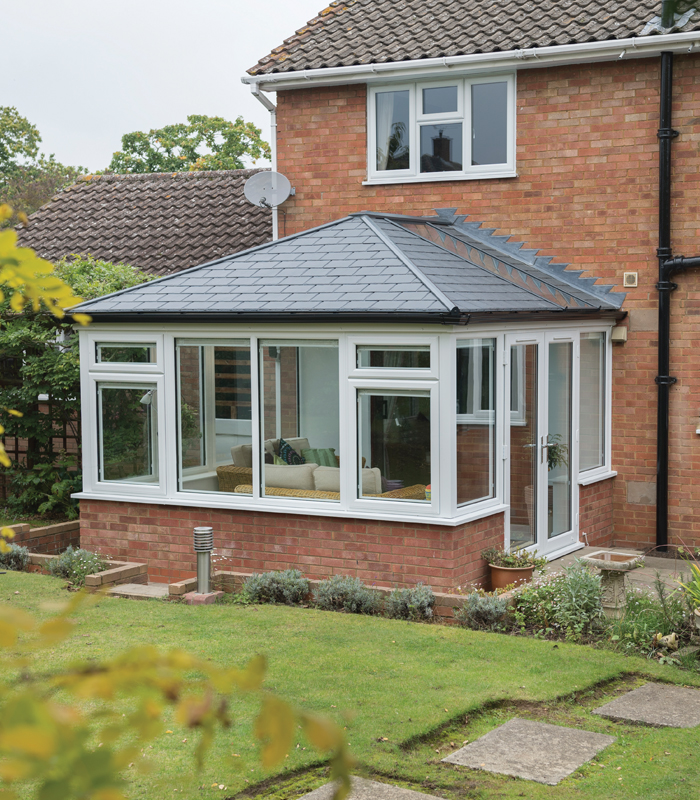 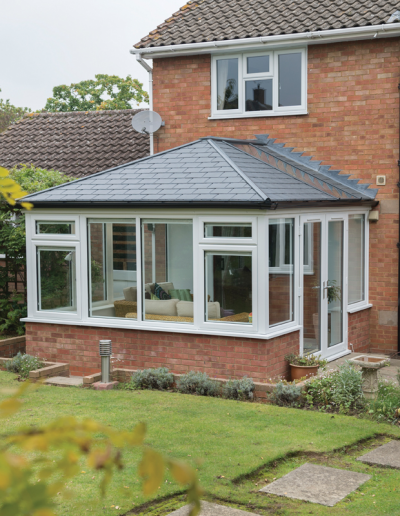 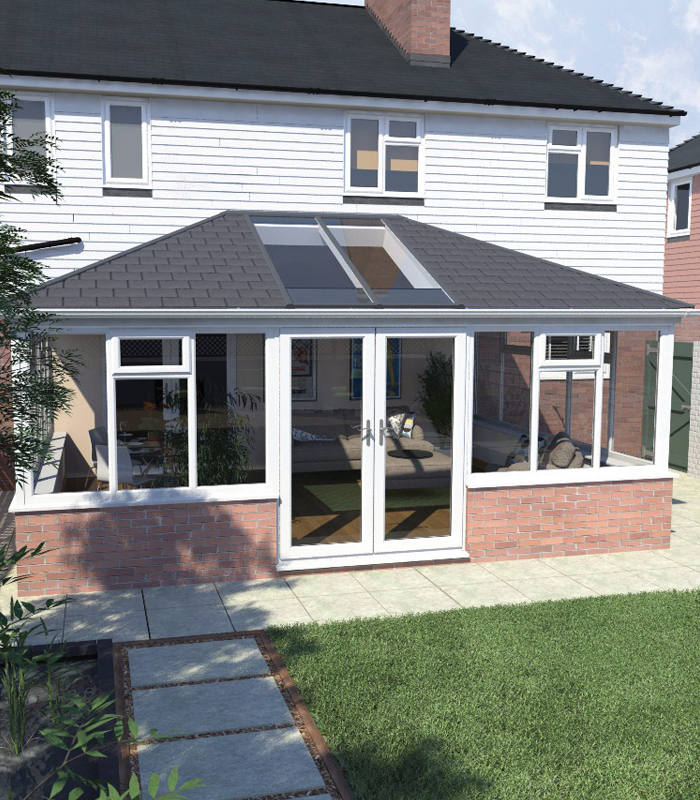 Our lightweight tiled roof is the perfect solution for customers looking to replace a tired old conservatory roof, and all in under one day! 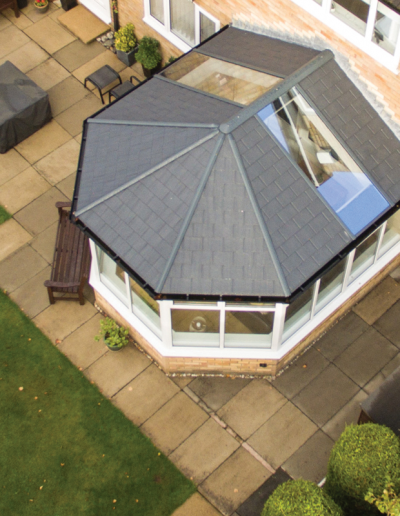 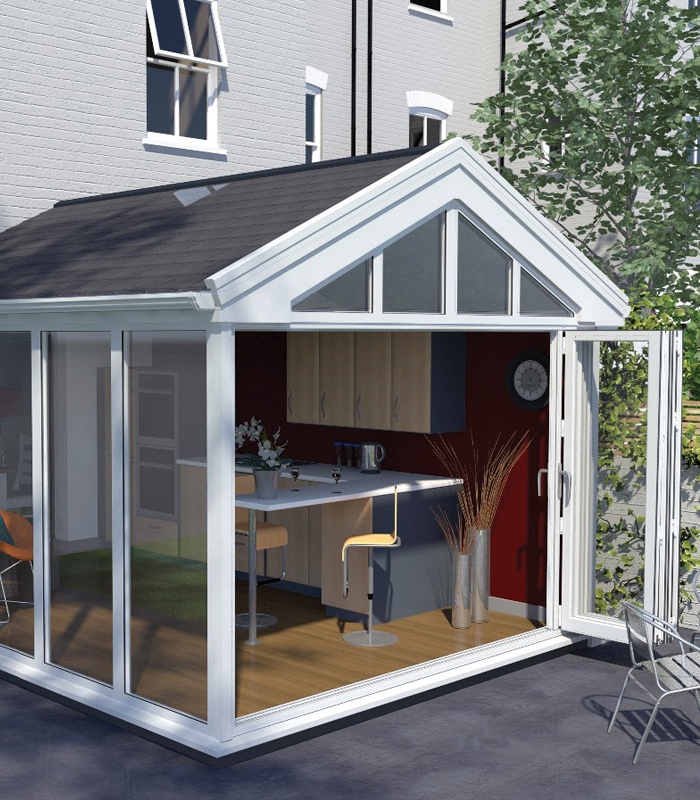 Constructed from 3 simple components and available in 3 colour options, this light weight and easy to install roof is faster than any other solid roof on the market to date, meaning you fit less, but make more! 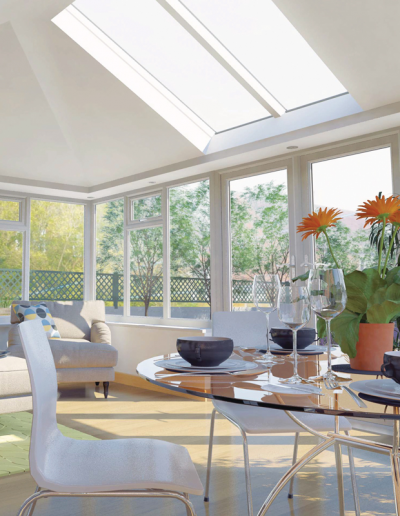 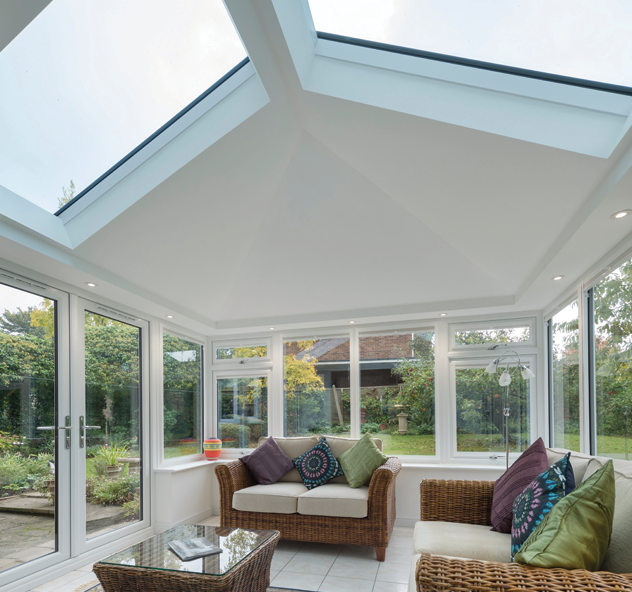 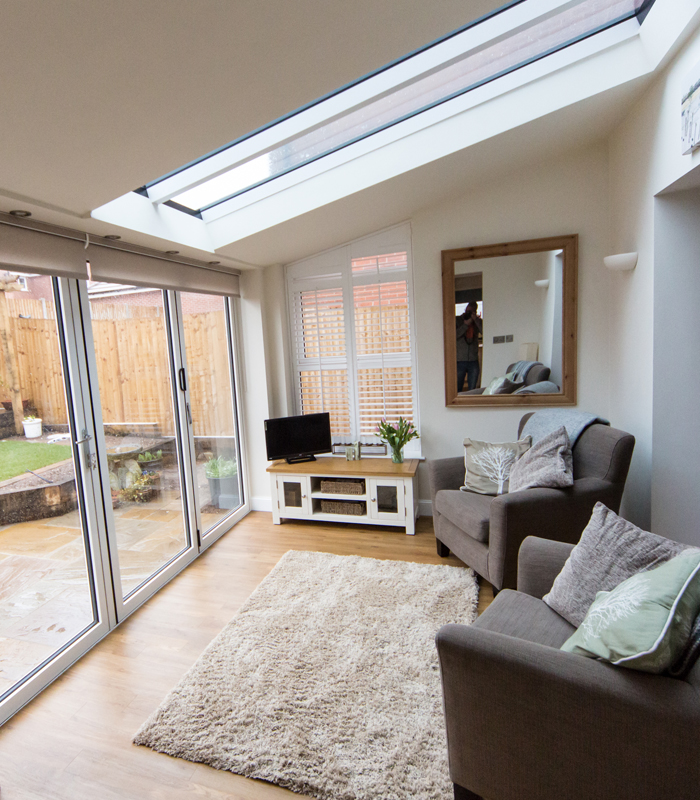 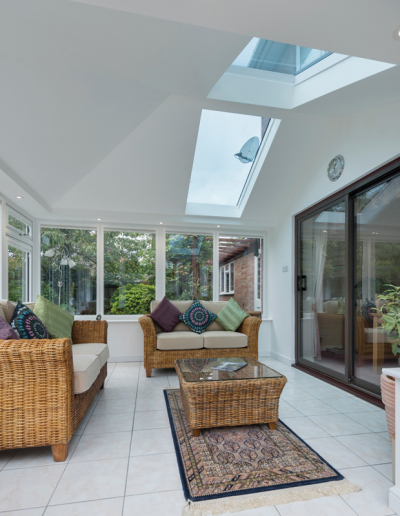 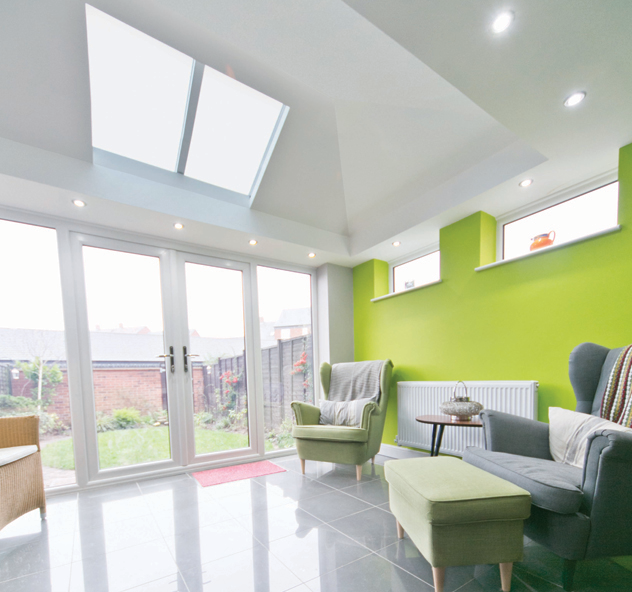 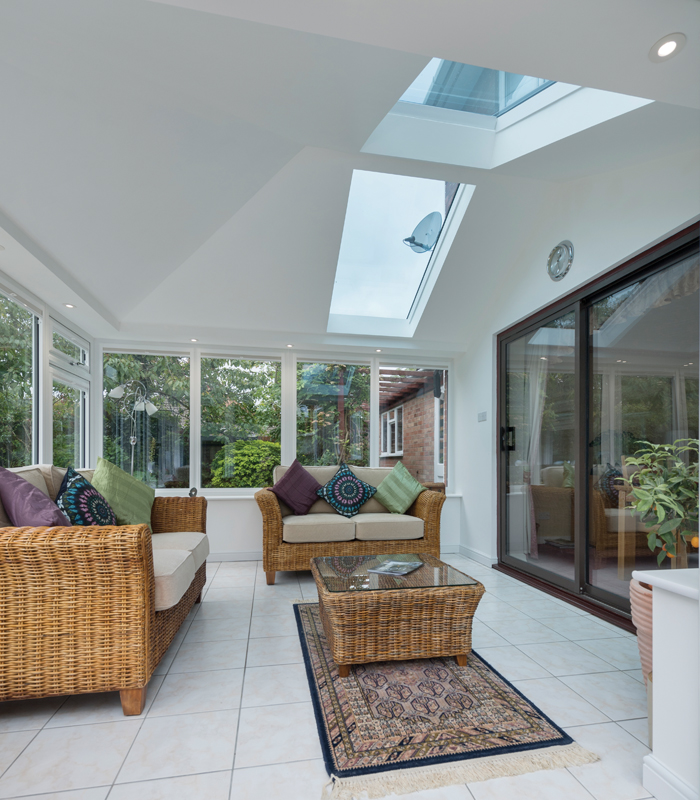 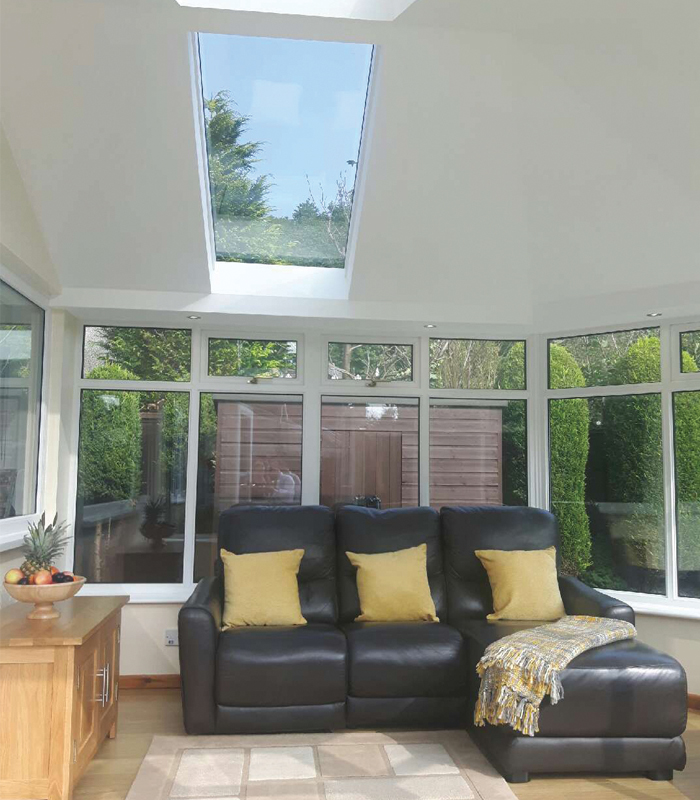 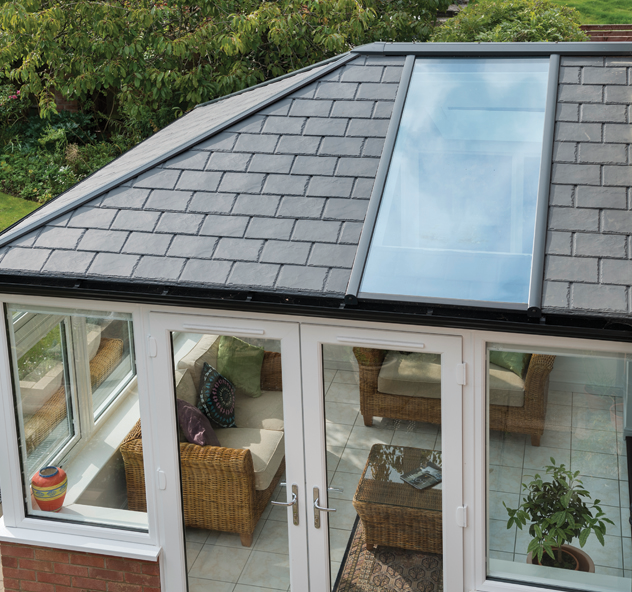 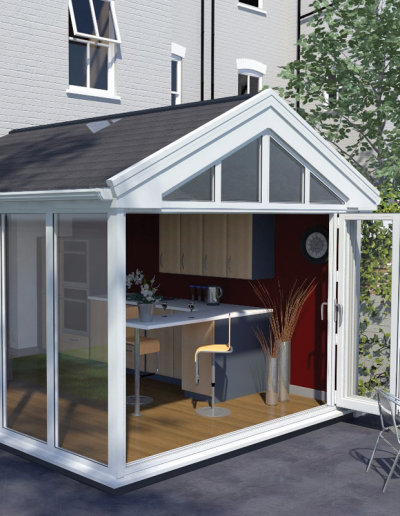 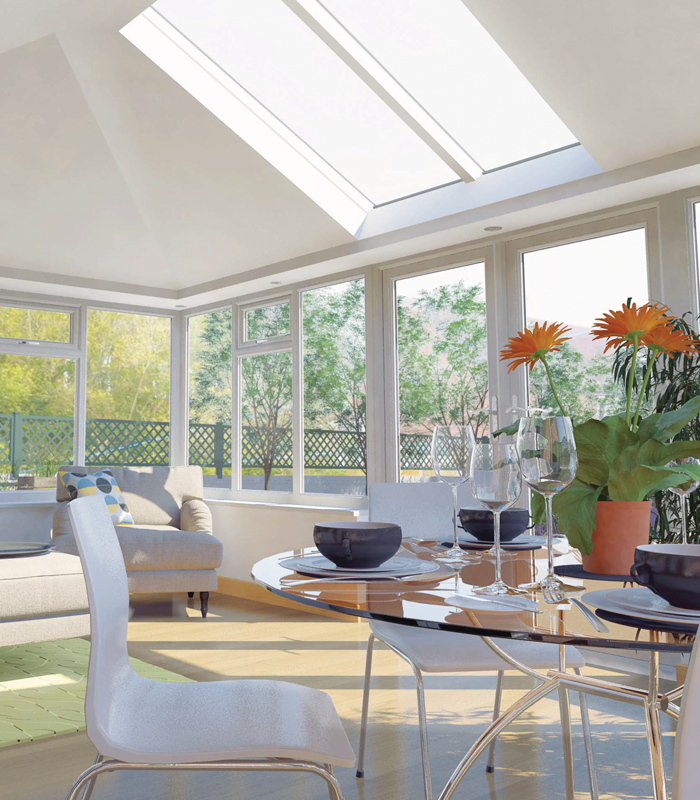 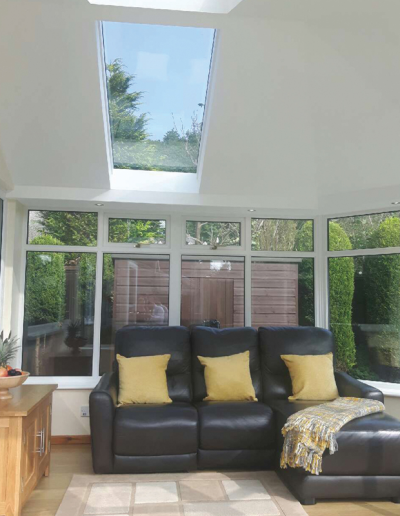 For those who want a solid roof but still want to retain an element of light within the room, the clever configurable technology in the UltraRoof allows the installation of multiple glass panels or Velux Windows – this can help project light into the adjacent room and allow a truly bespoke design. 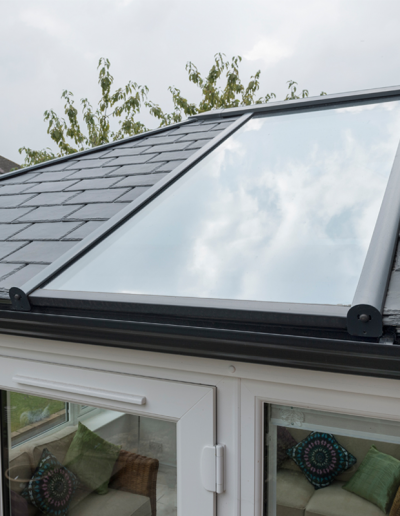 Extremely thermally efficient due to its advanced design, UltraRoof is fully compliant with Building Regulations and has LABC, LABSS and JAHI system approval.